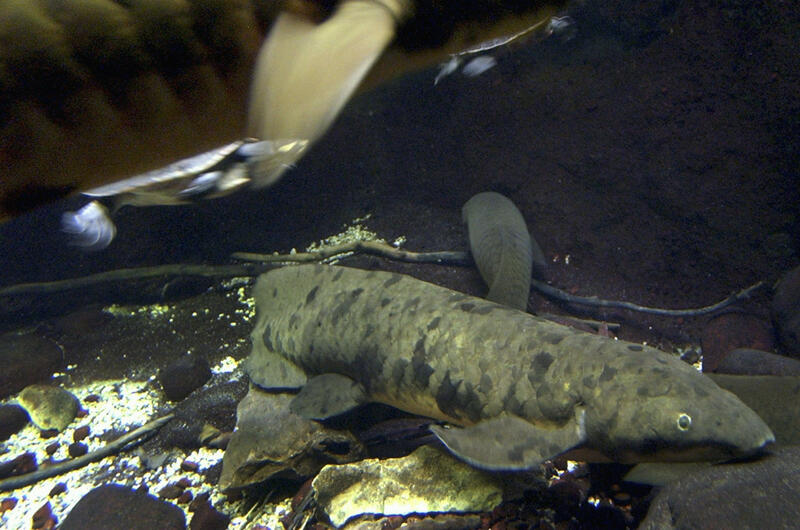 CHICAGO - An Australian lungfish that entranced visitors to Chicago’s Shedd Aquarium for more than 80 years has been euthanized due to old age, the popular tourist attraction announced Monday. Granddad, who was 4-foot-long and weighed 25 pounds, had stopped eating and started showing signs of organ failure. He was euthanized on Sunday. A necropsy - or animal autopsy - found conditions consistent with old age, aquarium officials said. “For a fish who spent much of his time imitating a fallen log, he sparked curiosity, excitement and wonder among guests of all ages who would hear his story,” said Bridget C. Coughlin, Shedd Aquarium’s president and chief executive officer. Shedd estimates Granddad was more than 90 years old. The aquarium acquired him from the Sydney Aquarium in Australia during a 1933 collecting expedition and Granddad was one of two lungfish that attracted visitors during that year’s A Century of Progress International Exposition in Chicago. Aquarium officials estimate more than 104 million people saw Granddad over eight decades. “Granddad lived a pretty relaxed life, enjoyed interactions with us, including gentle pats along his back, and loved to eat his leafy greens,” said Michelle Sattler, who was Granddad’s caretaker for more than 30 years. Lungfish have existed over 380 million years, according to fossil data, and have remained virtually unchanged for over 100 million years. They are estimated to live up to 100 years old and are a protected species in Australia, the aquarium said. Australian lungfish are native to the Mary and Burnett Rivers in Queensland, in northeastern Australia. They are among a few fish species that can breathe air. This species has a single primitive lung as well as gills, allowing it to survive seasonal fluctuations in the level and quality of its shallow-water habitats by noisily gulping air at the surface every 30 to 60 minutes. Fossils of lungfish have been uncovered in northern New South Wales, indicating that the genus of fish called Neoceratodus has remained virtually unchanged for well over 100 million years, making it a living fossil and one of the oldest living vertebrate genera on the planet.